Jesper Ejsing was born in Denmark in1973. He first discovered fantasy through the works of Tolkien and got introduced to D&D on Christmas Day, 1986. Skipping through the pages of the rulebooks, he set a goal for the rest of his life: He would become a fantasy artist. He would make a living illustrating things that live only in imagination... one way or the other. He studied Danish literature and Art History before quitting University for a freelance artist life. The early years as a fulltime illustrator meant drawing anything for money. Soon he weeded out the assignments that weren't historical, and after a while all he did was fantasy art. 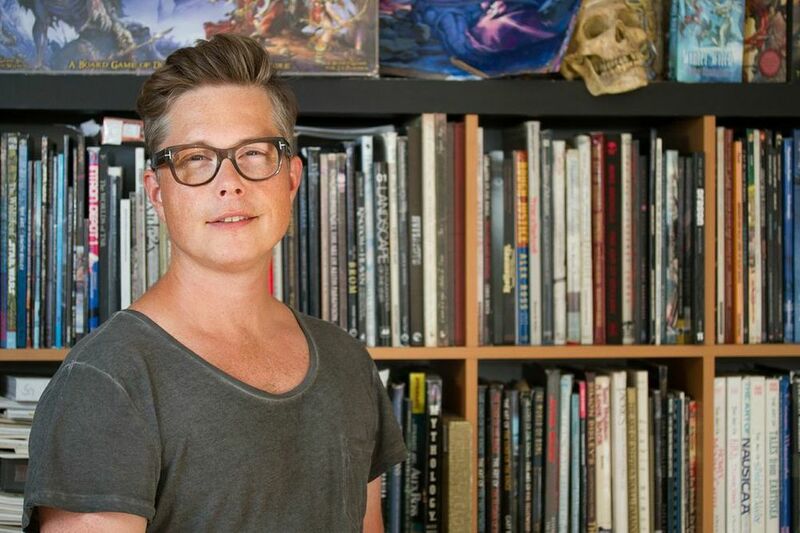 Jesper Ejsing still lives in Copenhagen Denmark, with his 2 sons and wife, Lea. Along with paintings, he has written numerous books. "Jarvis – the Sorcerer's Apprentice" is the only one translated into English.